Off street free and private parking in our lot, or free and private directly across the street. Near the corner of routes 155 and 20, convenient to CDTA. 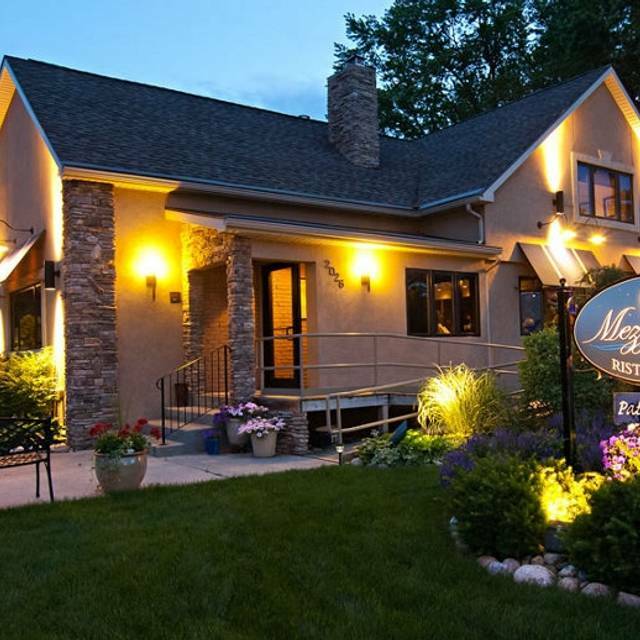 Whether you call it Classic Italian with a Modern Twist, or Modern Cuisine with Italian Influences, locally owned MezzaNotte Ristorante is sure to please. Highly rated food, prepared fresh from scratch using seasonal and local products. Whether for an intimate dinner, business meeting or dining with friends and family, MezzaNotte will exceed your expectations. Come try us and see why we are a Trip Advisor Restaurant of Excellence. Mezza Note is an awesome restaurant. The food and service was excellent. The restaurant was noisy but the staff quickly asked its loud patrons to quiet down as it was disturbing other guests. I was appreciative of the gesture on behalf of the staff. I would definitely go there again. Wonderful restaurant.... service & food exceptional..,. first visit & look forward to going back soon!!! The waiter was friendly and professional. The food was delicious! First, make a reservation, this is a very busy restaurant. The food is amazing and reasonably priced. Our waitress was very friendly and knowledgeable, with great recommendations. Our meal was served promptly. We dined at 5:30, but as the night wore on, the noise level went up, not the restaurants fault, just a boisterous crowd. Highly recommend . Great food, great service, always a pleasure to dine here. Food was fantastic, our waiter was terrific! The kitchen seemed to be running REALLY slow. Unusually long wait to get food. Food was very good, as always, but took a long long time to get it to us. Waiter was excellent and kept checking on our group. Second time there. First time was amazing. This time the service was so slow, almost 2.5 hours from the time we ordered til the time we finished. The calamari was awesome but the Caesar Salad was ok but came with one anchovy. The rabbit ragu sauce was clumpy and cold. And the rabbit was cold and tough. The 7 layer cake was great. Waiter said they were extremely busy and had a party going on upstairs. This was my first visit to MezzaNotte and based on our experience, we will be unlikely to return. We had a reservation that we made for 2 hours prior to the start of a show at the Time Union Center. My wife and I don't order cocktails and in most cases we spend about one hour at restaurants when we eat out. We arrived on time for our reservation and waited an inordinate amount of time for everything, from drinks, to bread, to entrees. It took just under 2 full hours before our entrees were served. The food itself was good. We got the calamari appetizer. The small size was enough for two people to share. We were a little concerned about the sauce the calamari was tossed in being too spicy but it was not. The caesar salads were fine, although mine had leaves that were not chopped through all the way. For $11, a small-size salad should be perfect. I had the Rabbit Ragu. The large size was just enough. The small size portion must be really tiny. The ragu was mainly pasta and had only four small (bite size) pieces of meat. My wife had the scallops & shrimp which came with two large shrimp and two large scallops. She liked the scallops but the shrimp didn't have any seasoning and were kind of bland. Unfortunately due to incredibly slow service we missed part of our show. They did offer us a free dessert but the last thing we needed was to spend more time there waiting for that. Offering to comp the appetizer would have made much more sense. Will not return and would not recommend this place. 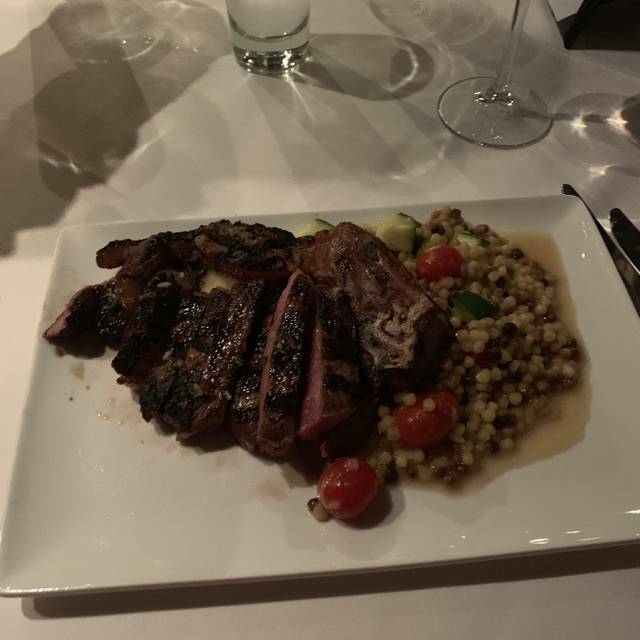 Restaurant was crowded with large family and wedding reception - maybe kitchen was a bit overwhelmed as wait was 45 minutes between appetizers and entrees - wife ordered veal rack med rare and it ended up being cold and well done - no adjustment on bill was allowed. Food and service was very good outside of the one issue. The duck meatballs and rabbit rags were amazing. Fabulous food served by friendly professionals in a warm and inviting atmosphere. When we first walked in the music was distracting and loud. It was turned down per request. I started with the Love Bite, a layered drink with raspberry and Godiva liqueurs and raspberry puree, topped with chocolate covered raspberries. The duck meatballs with Gouda centers on polenta patties were fantastic. The crab and rigatoni had a very flavorable sauce. I had no room for dessert. The staff was accommodating and checked on us often. The kitchen must have been badly overwhelmed and understaffed that night... Apps took much too long to arrive, and this was compounded by the fact that we were not eating bread. Calamari fra diavlo app was very overcooked and completely rubbery, brussel sprouts side was delicious but very small. Our shared entry arrived after another overly long wait, we knew we were in trouble when our server dropped off bread and hurried away after we had clearly shared with him we were not eating bread and had refused it earlier. When our grilled Branzino fish special finally arrived it was raw, bony and inedible. We asked for our check, paid the bill, and went home disappointed and hungry. No one at the restaurant came to see us and offered to make amends for our poor experience. The risotto and the rack of veal were outstanding. The calamari was fresh, crisp and had the right amount of spice. The pannacotta was homemade, creamy and had the right amount of sweetness. The service as always was exceptional. MezzaNotte never disappoints. It’s our go-to place for birthdays and special occasions or when we just want a perfect meal. The food is exceptional the setting quiet and contemporary and the service is wonderful. It was my wife’s birthday and we asked for a booth when we made the reservation. We were seated in the perfect booth. The server was attentive and helpful without being overbearing and we never felt rushed or ignored. Everything on the menu is wonderful and their wine list and specialty cocktails are great complements to a great meal. And always, always save room for desert. It was great I live the coats checked it make it comfortable at the sitting space. Food was excellent and the service. Reservation for 7:30. Was seated at 8:40. Dinner ordered,food came 1:15 min after. Waiter never offered to bring more bread while waiting or showed up to check on us. Place is cramped with too many tables for a small place. Food was tasteless and cold. The noise is loud and hard to maintain a conversation. Not a place for a romantic dinner. The only person that showed some attention was the hostess - but there was nothing she could do to help,other than apologize. That’s not a fine dinner experience. Food is expensive also for what it is- was truly a bad experience. Owner or manager never came to our table to apologize. This is an established restaurant - should not have such a bad service. Waiter was inexperienced and would care less to be attentive and courteous. I wonder if they had a manager on duty or the owner on the premises. The pasta carbonara was a delicious appetizer we shared. The swordfish puttanesca was fresh and the flavors were savory. The veal saltimboca was excellent. Our server was very attentive. We will definitely return. The service and food was excellent. It would be nice if there were more vegetarian options. Mezza Notte Never disappoints. Brought my Staff for our annual Holiday get together. None of them had been before. They all LOVED it. Few arrived early and were able to take advantage of Happy Hour at the Bar. I ordered appetizers for the table Brussel Sprout chips, Calamari and the Meat and Cheese board. All were excellent. Bread with the Olive Tapenade is a perfect companion. For Dinner. Scallop and Shrimp Risotto was perfectly cooked, Swordfish Picatta was excellent cooked to perfection. We had one guest very allergic to shell fish and onions she spoke to the waiter and made all request and everything was cooked appropriate. The Service is excellent. And the Owner is very gracious. I know I will return and hopefully the rest we return on there own. Standard by which all other restaurants we frequent are measured. We love everything and especially notice and appreciate the owner's attention to detail. Our only regret is that we don't have the same in Delmar. We were there for dinner on New Years' Eve, and they had a special menu. We always love the food and the service at MezzaNotte, and this evening was no exception. My daughter had a special duck entree, I had a superb swordfish, and my husband enjoyed the filet. Service was attentive and friendly, and the food was terrific. MezzaNotte continues to be a favorite! Food was very good. Service was good, everyone that we encountered was very polite and efficient. The staff were all extremely friendly and courteous. The food was delicious. We cannot wait to go back! This is hands-down one of the best restaurants in the Albany Capital District. It’s a bit pricey but the food is amazing and well worth it. We tend to come here for a special occasion or to share a memorable dinner with close friends. Best lasagna we ever had. Great service and ambiance. We have been here several times and it was always very very good from food to service. The owner was always there and was always on top of everything. This past night there was no owner there. We ordered appetizers and a glass of wine that the waitress never brought, by the way they’re only three tables there as being one of them. My wife ordered the fettuccine and lobster. After several minutes the waitress came back and said the lobster that came in was no good so there was no lobster for the evening. She chose The tenderloin risotto which was good. I ordered a rigatoni sausage and egg plant that was swimming in size and the rigatoni’s were overcooked. Both cooks in the open kitchen we’re constantly enjoying some food as every time we looked over they were chewing on something. It is unfortunate that the owner needs to be there to keep things in order. Not sure if we will try back again or not but after that experience it is highly unlikely. The food was great as always. The service was extremely slow and I am not sure if it was because our waiter was also working a party in the upstairs. He was rarely at our table and when he would show up it would be an extremely long time before he returned. Drinks were left unfilled and the service in general was extremely slow. We have not had this problem in the past so I am not sure what was going on. Perhaps it was because it was a Friday night. We usually go there during the week and do not have this problem. Fabulous food, great atmosphere, Tim is an excellent waiter. We will definitely visit again. 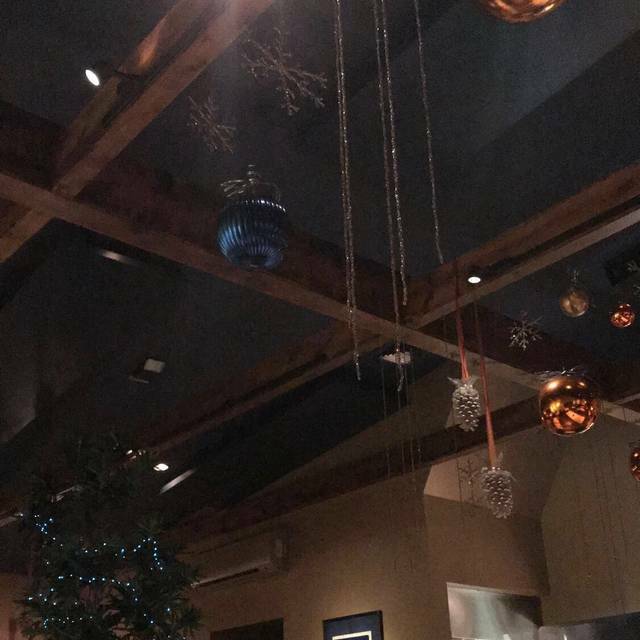 Food and atmosphere were excellent. Service was good, but the wait staff seemed annoyed when we made some special requests. I can’t say they were rude, just not particularly enthusiastic. All in all a good experience, I would return. I have been here multiple times and have enjoyed every dish I have ordered. You are greeted with a warm welcome when you walk in. The service and food is awesome. You will not be disappointed. Excellent food, atmosphere and staff.